On 10 September, the highly anticipated Alliance for Accelerating Excellence in Science in Africa (AESA) was launched in Nairobi, Kenya. This initiative of the African Academy of Sciences (AAS) is supported inter alia by the New Partnership for Africa’s Development (NEPAD), the Bill and Melinda Gates Foundation (BMGF), the Wellcome Trust (WT) and the UK Department for International Development (DFID). AESA is a jointly-funded pan-African platform established to support the development of long-term sustainable funding, research leadership, and scientific excellence and innovation in Africa. AESA was endorsed by the African Union to champion the development of research for health capacities in Africa and represents an exciting new model for long term development of research leadership and excellence in Africa. AESA will fund and manage science programmes, work in partnership to develop health research strategies, and monitor investments in science on behalf of African and global partners. Two major programmes, DELTAS and the Grand Challenges Programme, are included. 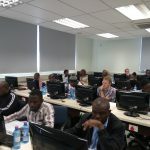 The launch and academic programme was attended by African and global science leaders, policy and decision makers, industry and non-governmental organizations, and representatives from the NRF, MRC, and ICSU ROA. 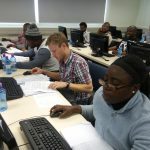 On 11-12 September, the launch is followed by the initiation of the large-scale NRF-IDRC-DFID programme to strengthen Science Granting Councils in Sub-Saharan Africa. The CLC Genomics Workbench, commercially available through Qiagen, is used for the analysis and visualization of next generation sequencing data. It includes a number of features and tools within the fields of genomics, transcriptomics and epigenomics. Furthermore, CLC genomics workbench currently supports all the major next generation sequencing platforms, such as SOLiD, Ion Torrent, Complete Genomics, 454, Illumina Genome Analyzer and Sanger sequencing. In 2013 and 2014, the ACGT successfully hosted two previous CLC bio/CLC Genomics workbench respectively. 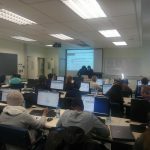 Surveys and feedback from previous attendees suggested that this workshop was extremely useful and relevant in this current “omics” era and recommended that more workshops be hosted in the future. 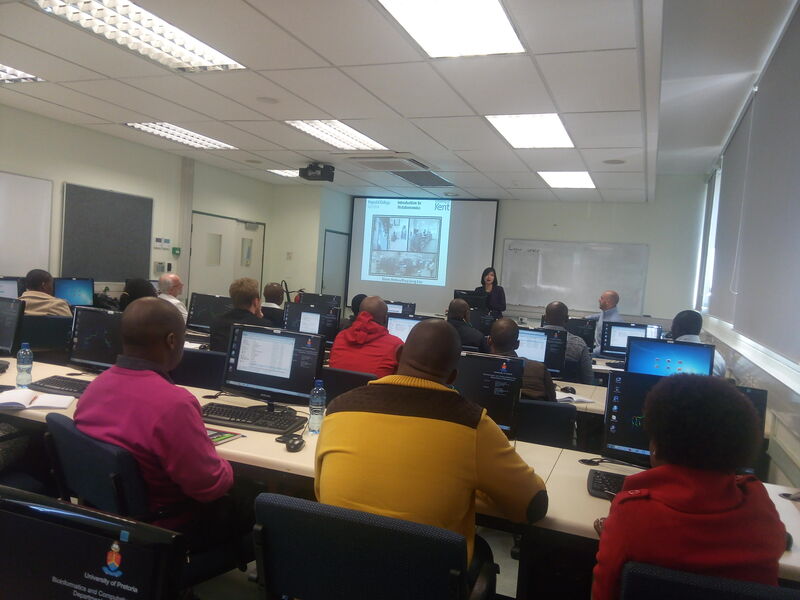 It was this in mind that the ACGT partnered with Inqaba biotec to successfully host a third workshop in 2015. 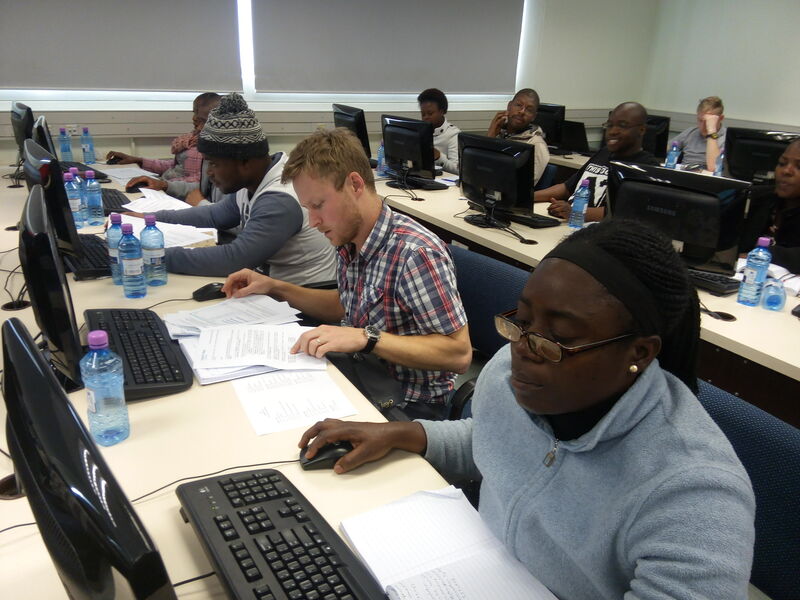 Attendees were representative of the following institutions: UP, Wits, ARC, UNISA and UJ. 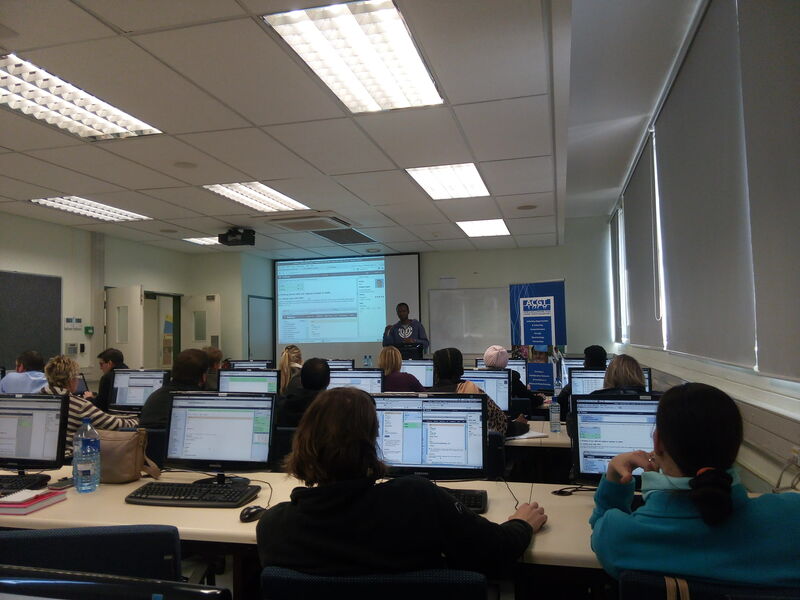 This workshop was hosted at The Centre for Bioinformatics and Computational Biology Computer Lab at the University of Pretoria between the 24th and 27th of August 2015. Field Application Scientist, Dr Anne Arens (Qiagen, Belgium) assisted by Dr. Hamilton Ganesan (Inqaba biotec) both did an excellent job at demonstrating the versatility of this software package and presented the various applications and work-flows that can be performed within the CLC Genomics Workbench. The first two days (24-25th August) of the workshop was dedicated to addressing the most popular topics requested by attendees (i.e. Resequencing, phylogenetics, RNA-Seq: differential expression analysis, Blast2Go and 16S rRNA Metagenomics). 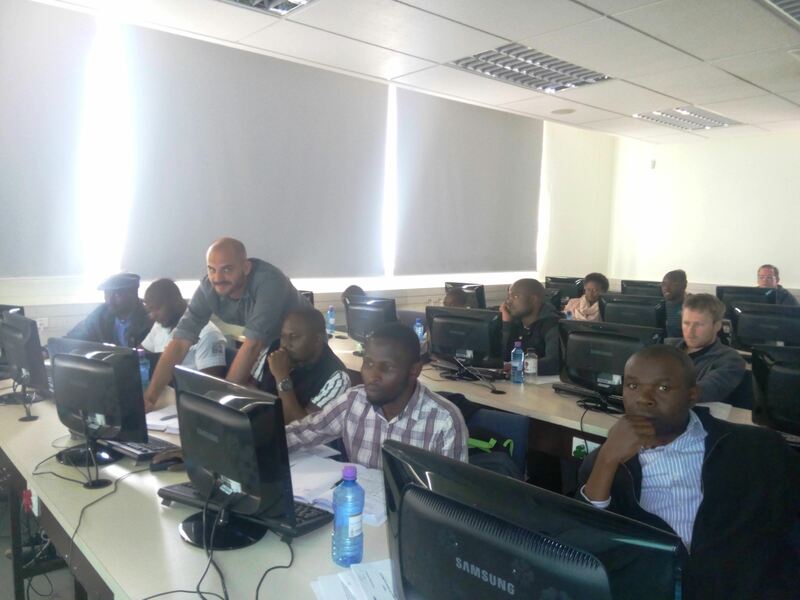 The second two days (26-27th) was dedicated to one-on-one sessions with the trainer in order to deal with specific problems that attendees may have encountered during their own analysis. Feedback from those who attended found that the course was relevant, at the right pace and level for them and was well organized. One of the delegates were extremely complementary and had this to say: “…. This was a very insightful training and I would like to acknowledge Anne for such great explanations of each concept and for being a great trainer”. 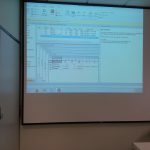 Similar comments from others indicated that overall the workshop was informative, useful and well received. Metabolomics is a newly emerging field of ‘omics’ that aims to investigate the global metabolic changes in a biological system. The two major technologies, mass spectrometry (MS) and nuclear magnetic resonance (NMR) spectroscopy, is commonly used for identifying and quantifying the full range of metabolites in biological samples and each produce large amounts of spectral data. The conversion of this data into biologically meaningful information requires considerable data processing. 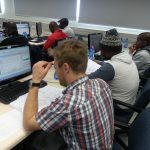 With the recent establishment and growth of metabolomics-based studies in South Africa, it has become important to consider the computational tools available to handle and interpret the large amounts of metabolomics data that is generated by these high-throughput technologies. 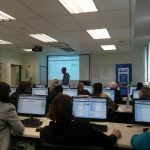 SIMCA, offered through the commercial vendor Umetrics, is one of the leading software packages currently available for the analysis and interpretation of metabolomics data sets. 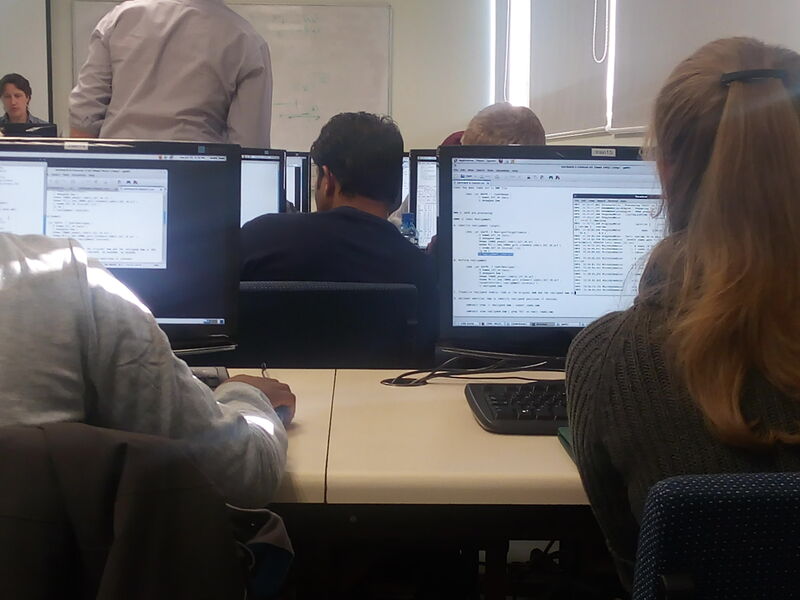 Providing training in a software package such as SIMCA would greatly build the capacity of principal investigators and postgraduate students in metabolomics multivariate data analysis and experimental design. 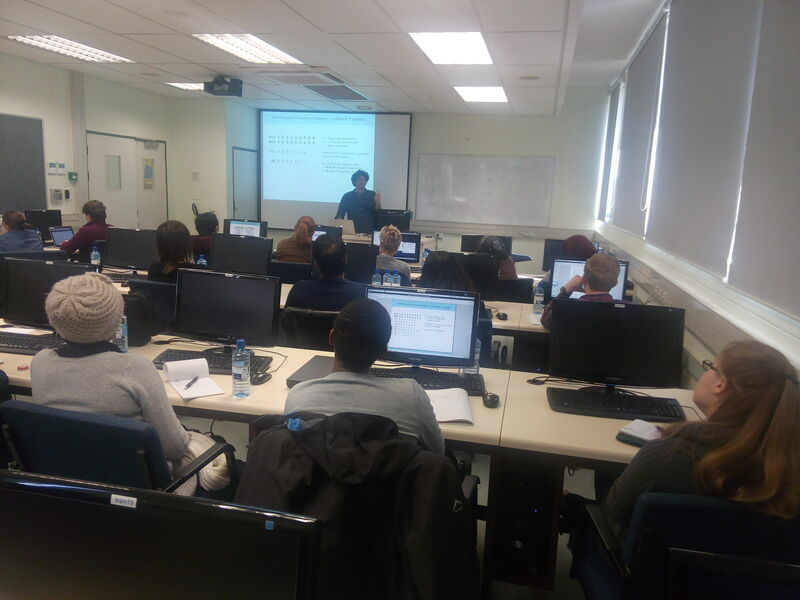 The ACGT, in conjunction with The Department of Science and Technology (DST), successfully hosted a SIMCA metabolomics data analysis workshop at the Centre for Bioinformatics and Computational Biology Computer Lab at the University of Pretoria between the 3rd and 7th of August 2015. 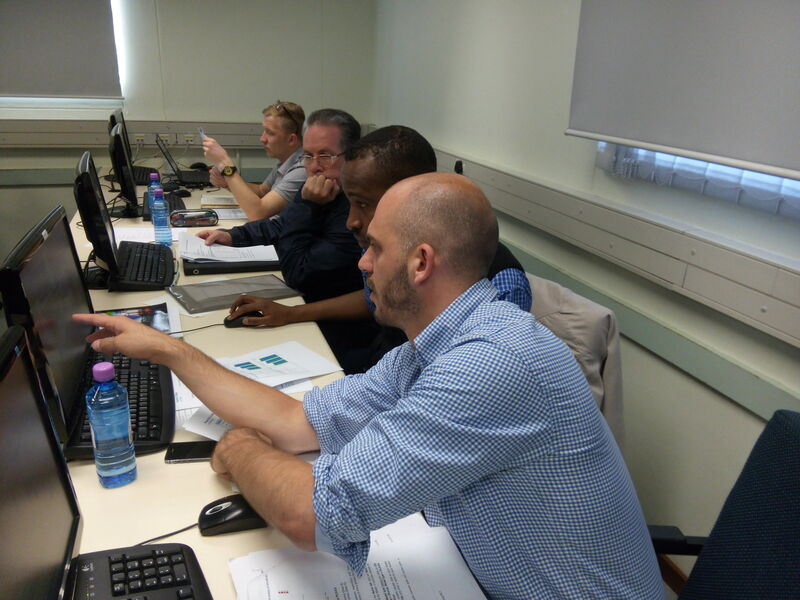 Two trainers were invited from Imperial College (London) to facilitate the workshop. 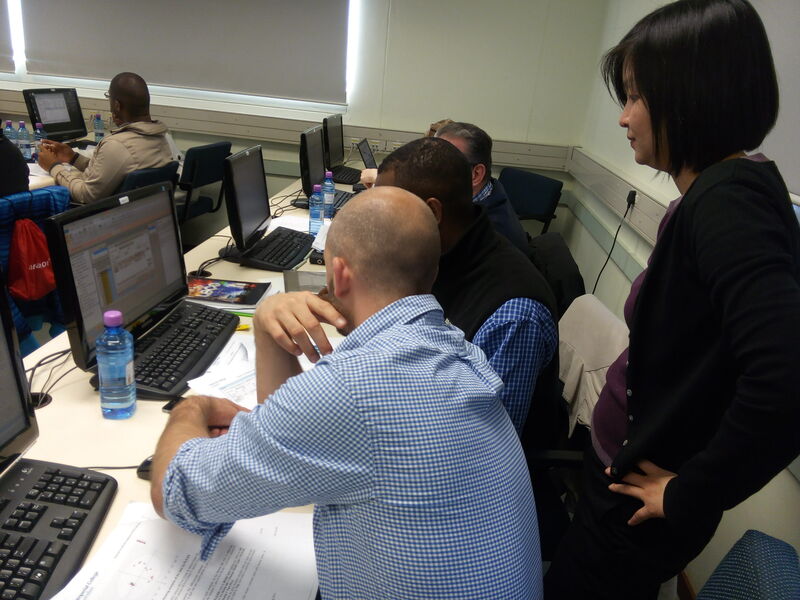 Trainers included Dr. Ruey-Leng Loo and Mr. Torben Kimhofer. 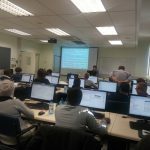 Both trainers are specifically knowledgeable and experienced in various important components of metabolomics data analysis specifically using the SIMCA software package. 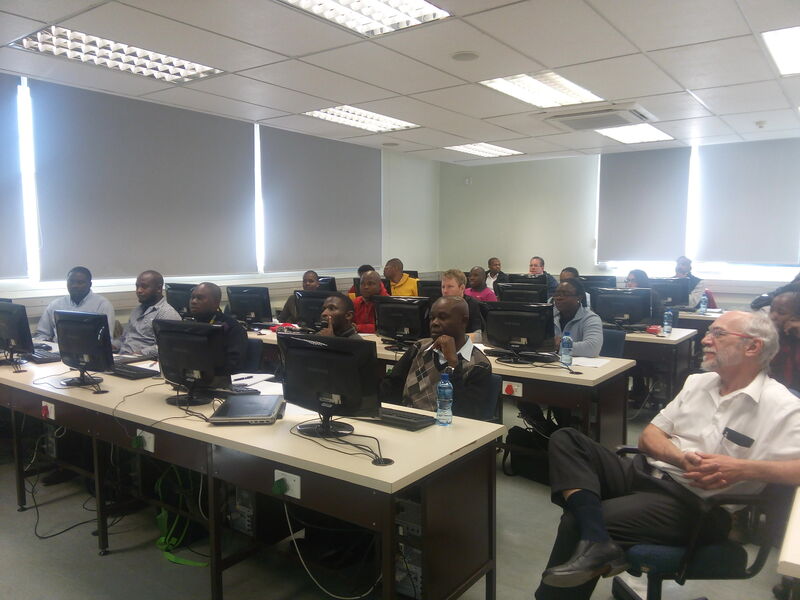 Twenty six attendees from various institutions NWU, UP, ARC, CSIR, UJ, UNISA and Wits attended the workshop. 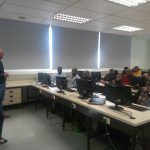 The five day workshop kicked off with a brief welcome and opening remarks by Dr Farhahna Allie as well as the trainers. 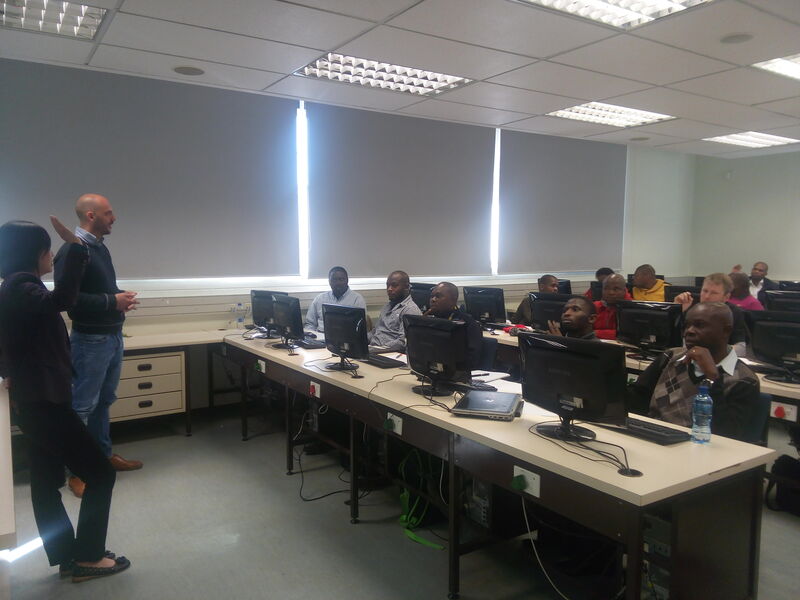 Each of the attendees then had the opportunity to introduce themselves and their research topics and how they best envisaged benefiting from this workshop. Workshop days started off with a lecture session in the morning and a hands-on session in the afternoon. 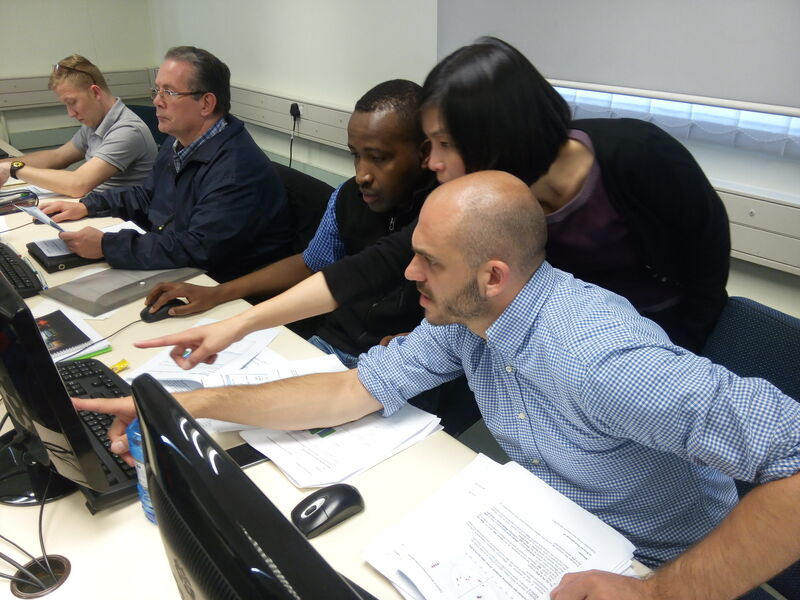 Moreover, the workshop also offered the attendees with a great opportunity to network and share their knowledge and experience with in their diverse metabolomics projects, further encouraging them to foster future collaboration. 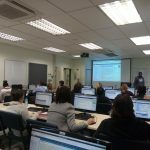 Feedback from the attendees demonstrated that the course was relevant and that it was presented at the right pace and level for them, as well as that the workshop was well organized. 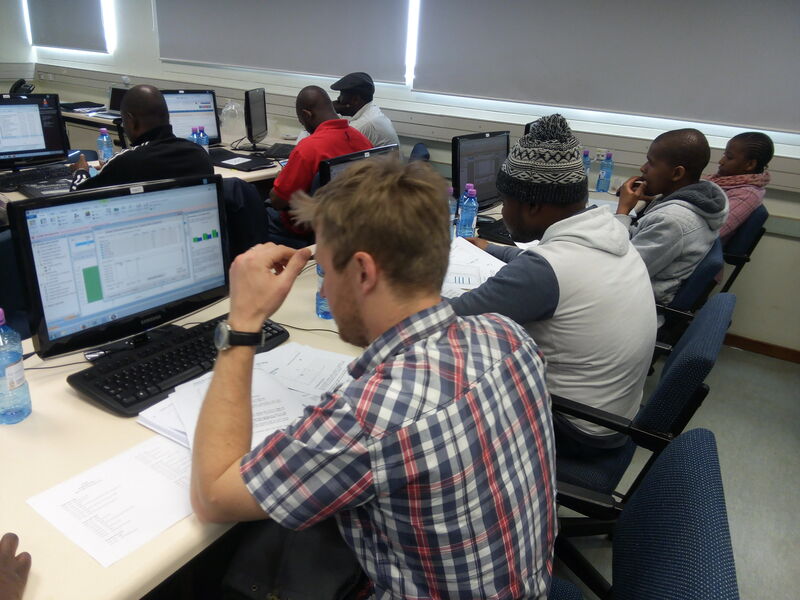 Overall, the positive feedback from delegates indicated that the course was useful. 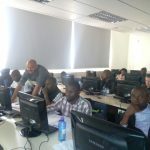 The trainers were equally pleased with the execution of the workshop and they were specifically impressed with the enthusiasm and active participation of the attendees. RNA-Seq has become increasingly popular in transcriptome profiling and is used primarily to determine differential expression of genes or transcripts as well as identifying novel transcripts. The analysis of RNA-seq data most commonly includes: quality control, filtering, read alignment, assigning reads to genes or transcripts, and estimating transcript abundance. 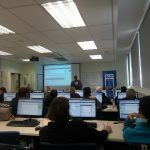 There is currently a vast number of tools that are currently available and accessible, such as Galaxy, which help simplify the processing and analysis of RNA-Seq data. Galaxy is a user-friendly web-based platform that offers all of the tools necessary for creating and performing a complete intensive RNA–seq data analysis workflow or pipeline. 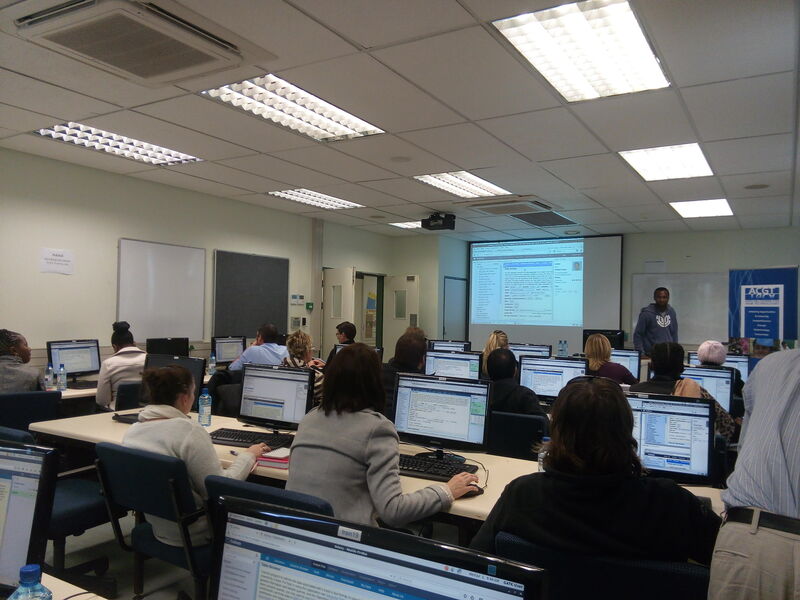 A Galaxy workshop was co-hosted by ACGT and The Genomics Research Institute (GRI) between the 1st and 3rd of July 2015 at the University of Pretoria. 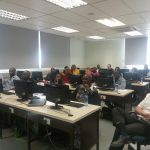 This workshop forms part of a series of open-source bioinformatics training workshops planned for 2015 that is being co-sponsored by the Bioinformatics Service Platform (BSP) and the ACGT. 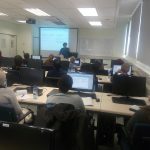 The overall aim of this workshop was to provide a hands-on tutorial for different aspects of RNA-Seq analyses, from data preparation, through to statistical testing for differential gene expression. 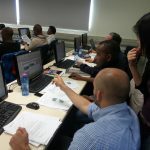 This workshop was specifically designed to teach participants how to integrate data, and perform simple and complex analysis within Galaxy using the “Tuxedo” suite of tools. The Tuxedo suite is specially comprised of Bowtie (alignment), Tophat (mapping) and Cufflinks (transcript abundance). 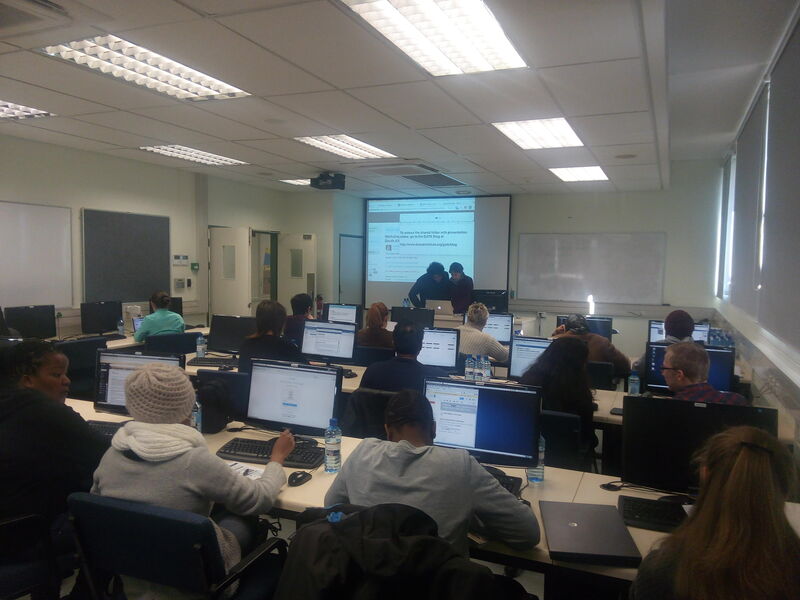 The first day of the workshop kicked off with a brief welcome and opening remarks by Dr Farhahna Allie (ACGT Support Scientist) and Prof Fourie Joubert. This was followed by a brief “ice-breaker” introduction by the attendees. 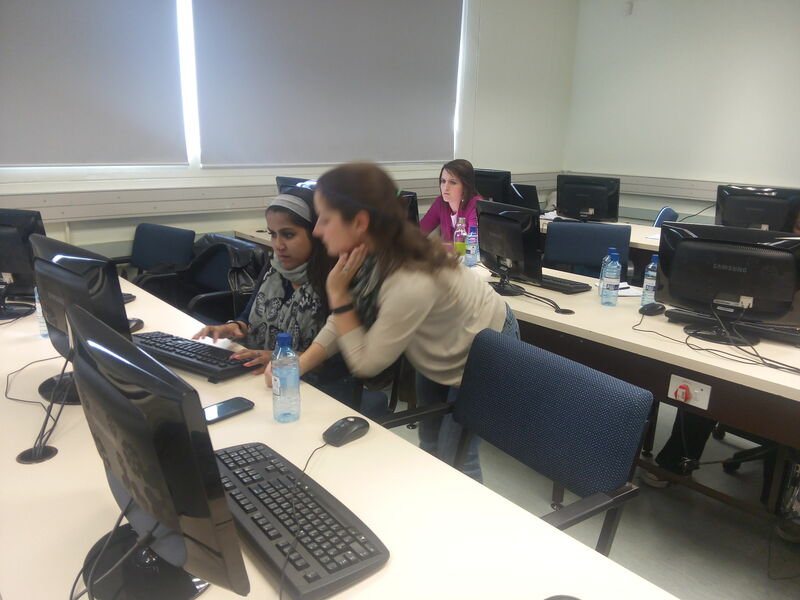 Each day of the workshop started off with a lecture session in the morning and a hands-on session in the afternoon. 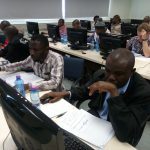 In the afternoon session, the attendees had the opportunity to apply what they had learnt in the morning to real data through a variety of exercises. 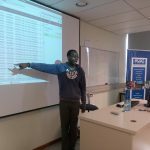 Datasets for the workshop was provided and although the workshop required that attendees have some basic understanding and knowledge of Linux commands and/or R commands, these commands were fully documented and provided to each participant. 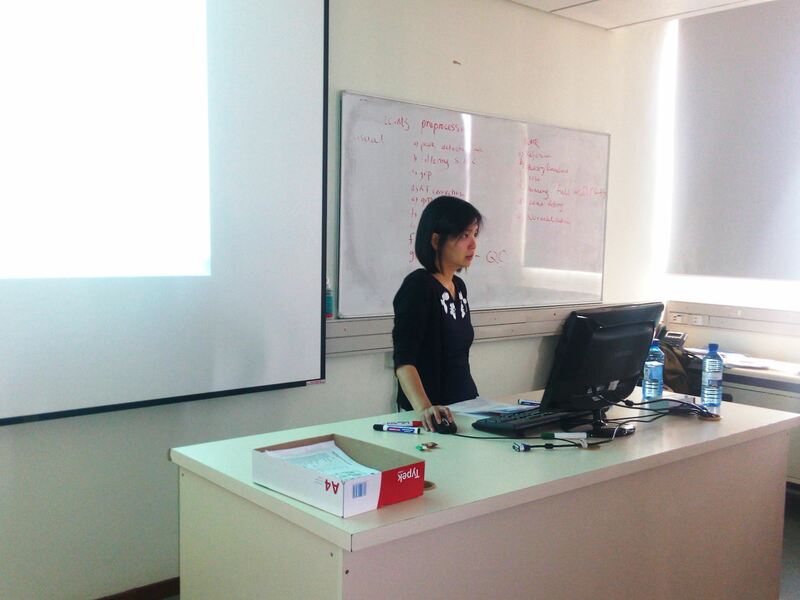 Overall, the positive feedback from delegates indicated that the course was presented well and useful. 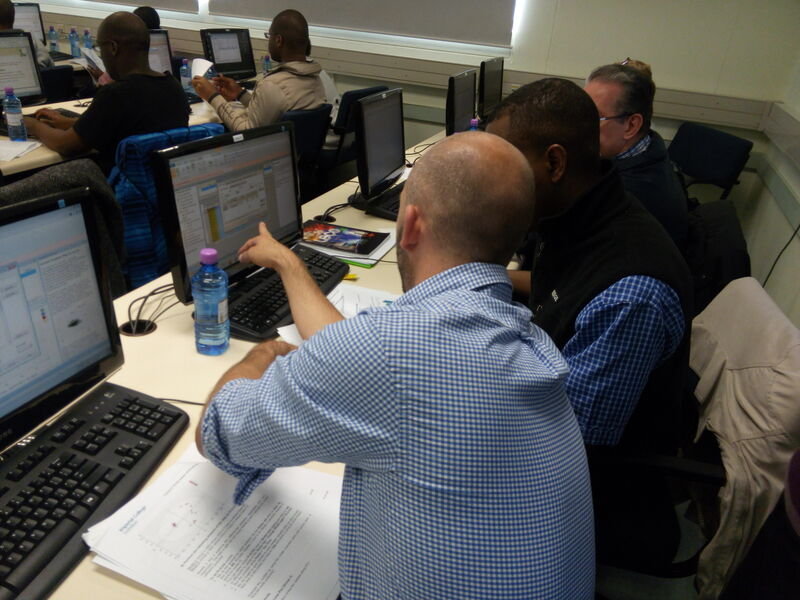 This workshop was particularly successful as it highlighted the expertise of local South African trainers: Prof Fourie Joubert, Dr Charles Hefer and Dr. Oliver Bezuidt. 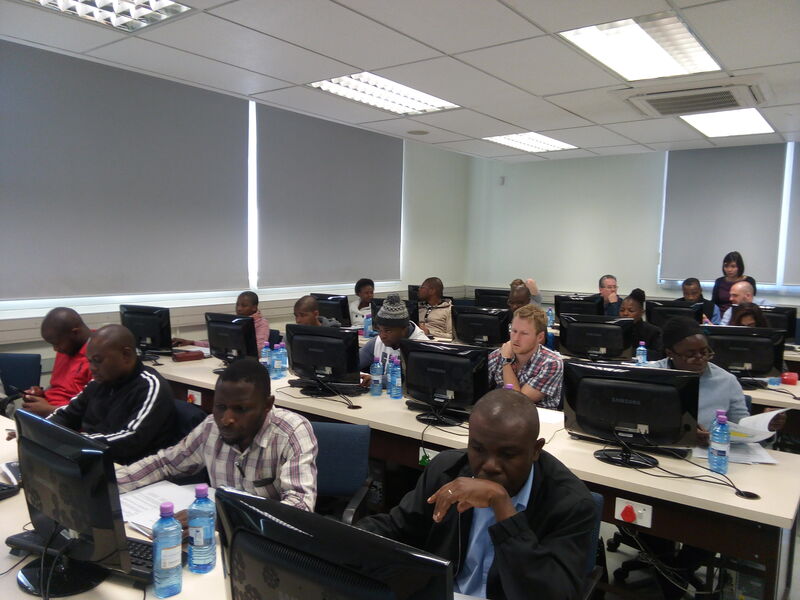 The African Centre for Gene Technologies (ACGT) in conjunction with the Bioinformatics Service Platform (BSP) and UP’s Genomics Research Institute (GRI) hosted a 5-day Genome Analysis ToolKit (GATK) Workshop between the 22-26 June 2015 at the Centre for Bioinformatics and Computational Biology at UP . 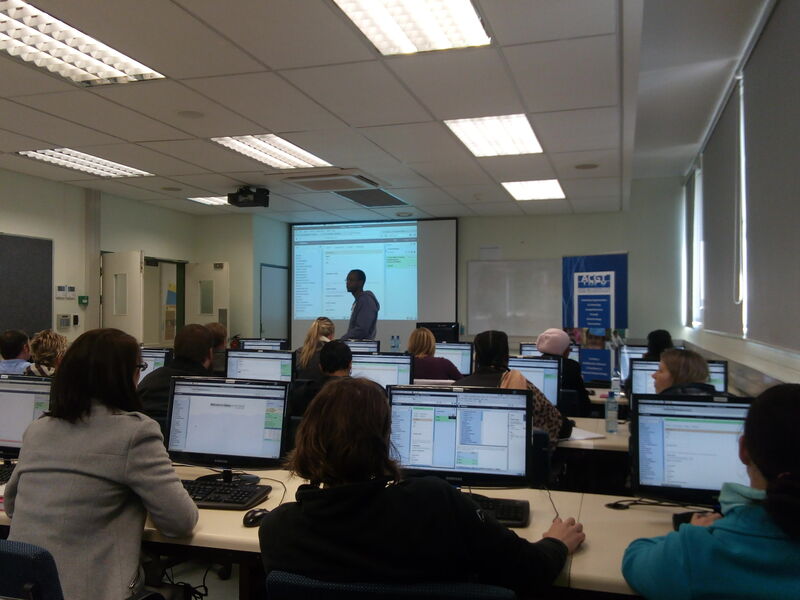 The Toolkit was developed at the Broad Institute and was designed to analyse next-generation sequencing (NGS) data. 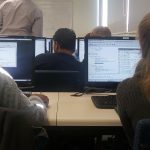 Although it was initially developed for the analysis of human genomes, it has since been modified to handle and analyse data of non-model organisms by simply adapting and changing various parameters in the software. 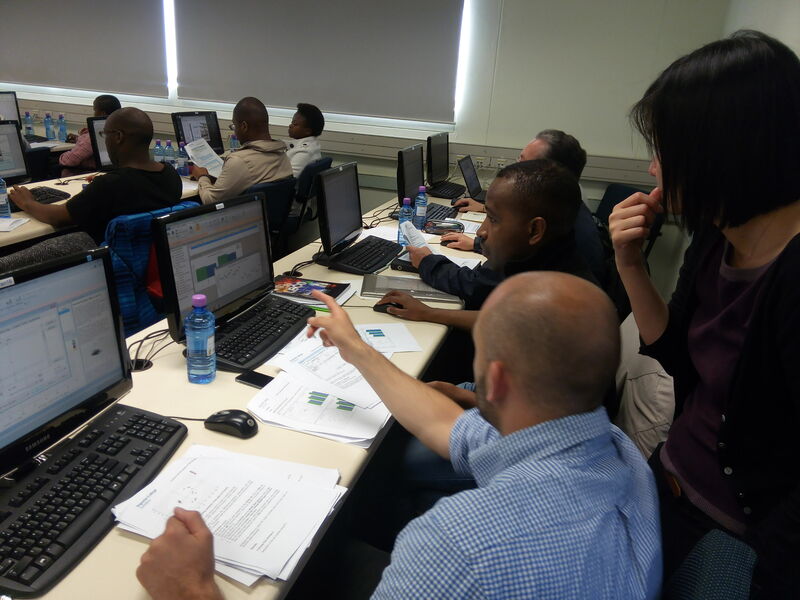 A total of 23 delegates were trained at the workshop and this group was representative of three of the ACGT partner institutions (UP, ARC and WITS). 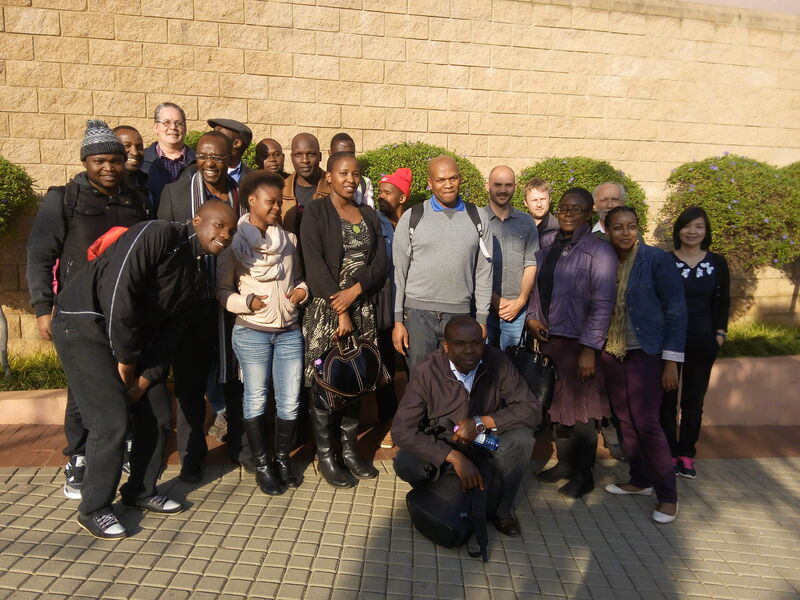 Furthermore, attendees representing UNISA, Vaal University of Technology and North West University were also present. The five day hands-on workshop was presented by Drs. Geraldine Van der Auwera, Laura Gauthier and Yossi Farjoun from The Broad Institute. 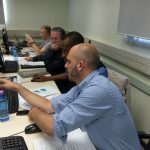 The workshop focused on analysing human data, but also covered various strategies for adapting the Best Practices to the study of non-human and non-model organisms. 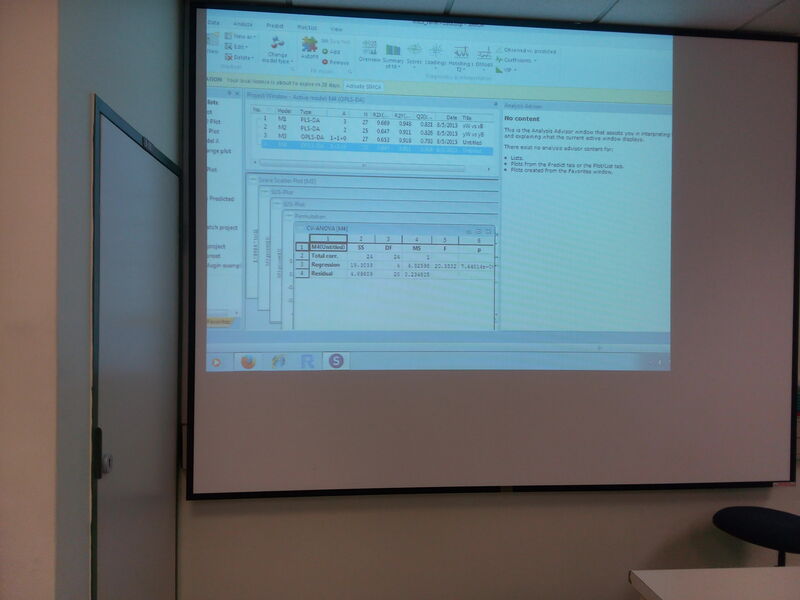 Each day consisted of a lecture session in the morning and a hands-on session in the afternoon. In the afternoon session, the attendees had the opportunity to apply what they had learnt in the morning to real data through a variety of exercises as well as explore various useful tips and tricks to improve efficiency and deal with common problems. 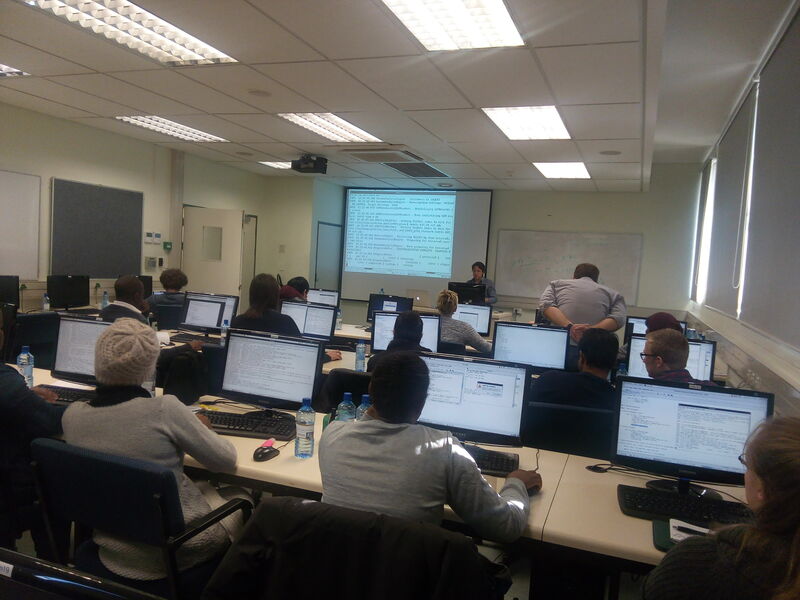 The topics were covered in the following order: (1) Introduction to high-throughput sequencing, experimental designs, QC, (2) Processing of sequence alignment data (i.e BAM files, incl. RNAseq), (3) Germline variant discovery + recalibration/filtering, (4) Somatic variant discovery + filtering and (5) Genotype refinement, variant manipulation & evaluation. 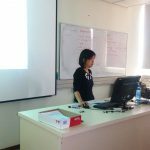 Overall, the workshop was well received and participants found it to be well presented and extremely useful and relevant to their research. The early success of Dr Stephanie Fanucchi leaves most people astounded. This young biologist had already completed her PhD when she joined the CSIR in 2011, her first job. 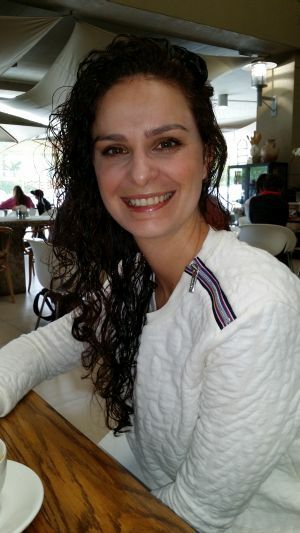 Hardly three years later and a few months before her 29th birthday, she was part of a team of South African researchers who published a ground-breaking study about gene regulation in Cell, one of the world’s most prestigious research publications. The group showed that gene activity is a consequence of genes engaging in physical contact in three dimensions, also known as ‘gene kissing’. “This was a fundamental observation and has broad implications for how scientists understand gene regulation. Many diseases are caused by aberrant gene regulation and activity. It is ultimately our genes that dictate how cells in our bodies grow, so understanding how genes work will help scientists to find medical cures,” Fanucchi explains. 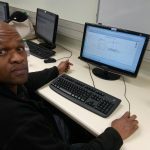 State-of-the-art microscopes, custom-built in South Africa by the CSIR’s gene expression and biophysics group under the leadership of Dr Musa Mhlanga, were an important tool for imaging the ‘gene kissing’ interactions. As these microscopes are able to achieve single-molecule resolution, they are able to detect the activity of a single gene. Then using genome-editing tools – nicknamed ‘molecular scissors’ – the team was able to cut DNA at precise locations to prevent genes from making contact. This led to the registration of a new patent. Being part of this work required immense commitment and Fanucchi needed to make some difficult decisions about her personal life, which may resonate with women scientists globally. “I have not felt that being a woman has limited my career, but nor has it helped. There is a perception that some of the old-school scientists don’t really believe that men and women are intellectual equals, but I have not encountered that in our research group. Fanucchi almost considered a career in dancing, another passion, when she was in high school. Coming from an academic family, she was encouraged to go to university. 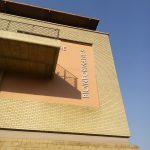 After completing matric in 2003, she enrolled for a BSc degree at the University of the Witwatersrand, followed by an honours degree in biochemistry and cell biology. Thereafter she enrolled for a Master’s degree. She soon upgraded this to a PhD and as she was completing her studies, was recruited by Dr Mhlanga, who had joined the CSIR in 2008, after completing a post-doctoral fellowship at the Institut Pasteur in Paris in the laboratory of nuclear cell biology. “I was thrown into this entirely new field. Those who think that biology is a narrow field are mistaken. It is incredibly broad. It was a steep learning curve for me. Fanucchi’s advice to other young scientists is to be very committed early in their careers. Bioinformatics is a field of study concerned with computational analysis and storage of biological data. The field is broad, ranging from the study of DNA and proteins, to structural biology, drug design and comparative genomics. 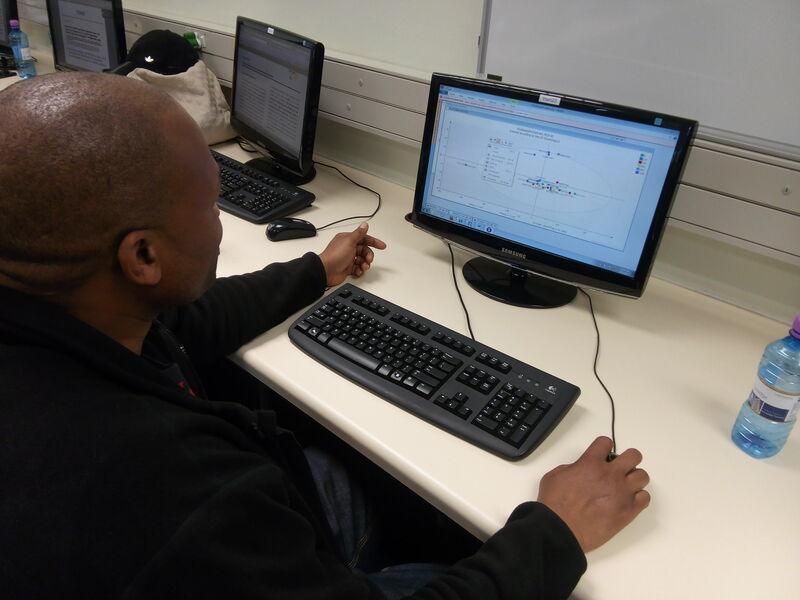 Dr Trevor Bell and Professor Anna Kramvis, from the Hepatitis Virus Diversity Unit (HVDRU) in the Department of Internal Medicine, have developed a number of free, online bioinformatic tools, described in several Open Access papers (1-4). The standard workflow in the HVDRU includes DNA extraction, PCR amplification, direct DNA sequencing, viewing and checking of chromatograms, preparation of curated sequences, multiple sequence alignment, sequence analysis, serotyping, genotyping, phylogenetic analysis and preparation of sequences for submission to public databases such as GenBank. The tools developed in the HVDRU are used at several of the steps in this process, with a particular focus on processing of chromatograms and DNA sequence data. Although developed and tested with sequence data from hepatitis B virus (HBV), sequences from other organisms can be submitted to most of the tools. The suite includes the following tools too: plot and visualize chromatogram quality scores; generate contigs directly from forward and reverse chromatograms; conservatively clean or curate sequence data; extract HBV protein sequences; calculate 2-by-2 contingency tables; determine HBV serotype; merge long overlapping sequence fragments; summarize and graph nucleotide or mutation distribution; automate phylogenetic analysis and prepare fragments for GenBank submission. Two tools have been developed to assist with processing and analysis of ultra-deep re-sequencing (pyrosequencing) data. These stand-alone, web-based tools allow users on any operating system platform to access the tools they require from any location with an internet connection, without needing to learn a new bioinformatics software suite or a new programme and without having to install any software on to their computer. The appropriate tool is simply used as and when required. They are available online at no cost and do not require extensive computer skills or training to use. Data can easily be processed by a mixture of online tools and other software packages, as standard file formats are used. Using specific tools designed to perform a single task, means that workflows can be partitioned into logical units and that processes or analyses can be easily repeated. 1. Bell T.G, Kramvis A (2015). Bioinformatics tools for small genomes, such as hepatitis B virus. Viruses, 7, 2:781-97. 2. Bell T.G, Kramvis A (2013). Fragment merger: an online tool to merge overlapping long sequence fragments. Viruses, 5, 3:824-33. 3. Bell T.G, Kramvis A (2013). Mutation Reporter Tool: an online tool to interrogate loci of interest, with its utility demonstrated using hepatitis B virus. Virology Journal, 10:62. 4. Yousif M, Bell T.G, Mudawi H, Glebe D, Kramvis A (2014). Analysis of ultra-deep pyrosequencing and cloning based sequencing of the basic core promoter/precore/core region of hepatitis B virus using newly developed bioinformatics tools. PLOS ONE, 9, 4:e95377. 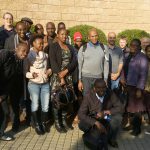 The University of Johannesburg (UJ) hosted the 11th Regional Plant Biotechnology Forum on the 13th of April 2015 at the UJ’s Council Chambers. 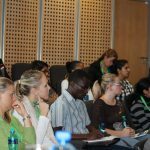 Prof Ian Dubery and Dr Lizelle Piater worked closely with the ACGT in organising the forum that was attended by 56 scientists and students represented by all the ACGT partner institutions. 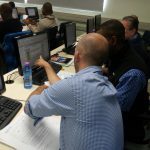 The forum programme had six speakers, with Dr Paul Hills from the Stellenbosch University (SUN) being the keynote speaker for the day. Dr Paul Hills has been lecturing at SUN since 2008 within the Institute for Plant Biotechnology and his research interests relates to “how plant growth is regulated by myriad of small signalling molecules present in the environment, whether from biotic (e.g. bacterial, fungal, plant) or abiotic (e.g. 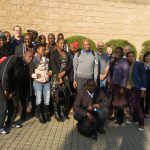 fire) source.” Dr Hills gave a fascinating talk at the forum on “Overexpression of fungal volatile biosynthetic genes for enhanced growth in Arabidopsis”. 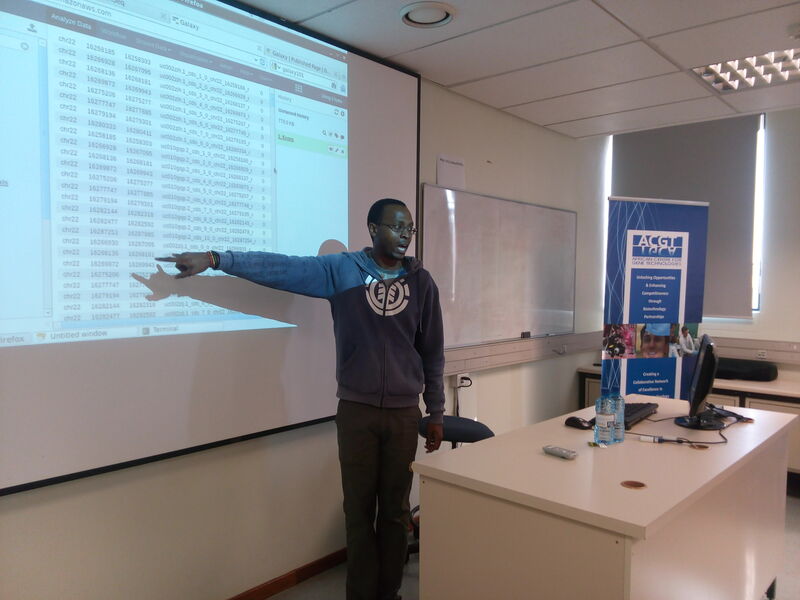 Dr Khayalethu Ntushelo followed with another interesting talk on “Metagenomic analysis of spoiled potato and tomato and the use of the dominant bacterial species in plant growth studies”. 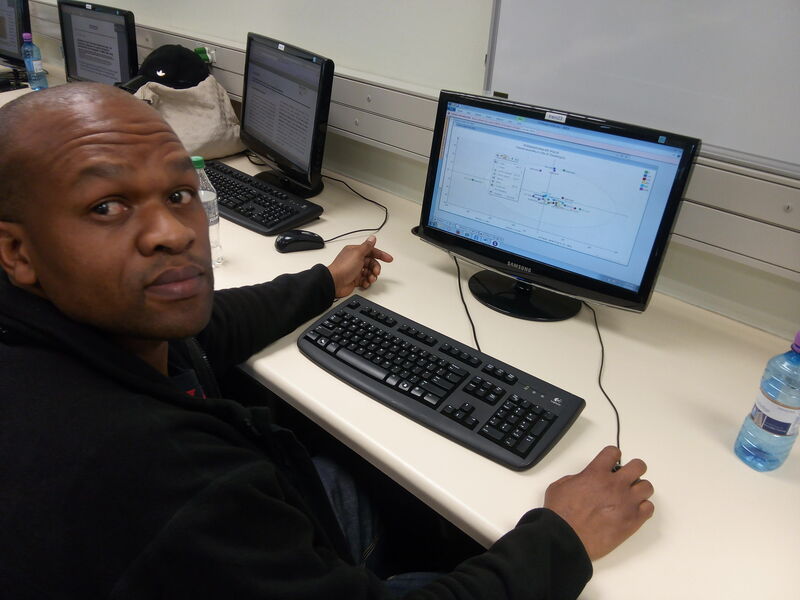 Dr Ntushelo is a senior lecturer from the University of South Africa with research interests in plant-microbe interactions. 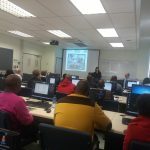 Ms Nikita Da Camara, Dr Arnaud Djami-Tchatchou and Ms Sherrie-Ann New from UJ; as well as Prof Dave Berger from the University of Pretoria, gave captivating talks on their current research. The attendees were afforded an opportunity to network over lunch after all the presentations were completed. Visit the ACGT Facebook page for photos. The information is intended for the global scientific community to monitor the pathogen’s evolution in real-time and conduct research that can lead to more effective strategies against further outbreaks. The team of scientists, funded by the Wellcome Trust, is using semi-conductor next-generation sequencing (NGS) technology developed by Thermo Fisher Scientific to generate data in a lab facilitated by Public Health England and International Medical Corps. Head of Virology at the University of Cambridge, Professor Ian Goodfellow, travelled to Sierra Leone in December 2014 and then again in March 2015 to help set up a new diagnostics centre attached to an Ebola Treatment Centre in one of the country’s worst affected areas. Goodfellow returned a third time to study the virus at a molecular level using the sequencing technology. “Sequencing the genome of a virus can tell us a lot about how it spreads and changes as it passes from person to person. While this information is invaluable to researchers, the rapid sharing of data does not always occur,” said Professor of the Virus Genomics laboratory at the Wellcome Trust Sanger Institute, Paul Kellam, Ph.D, who is leading the team to map the genomic data captured by Goodfellow and his colleagues. “It used to take months to process samples that had to be brought back to labs in the UK for analysis. Having sequencing capabilities on the ground helps generate data in a matter of days or at the longest weeks, which should have a profound impact on how the Ebola virus is researched and inevitably addressed on a global scale,” continued Kellam. Rapid sequencing enables epidemiologists to decipher the source of individual strains, helping to eliminate the need to rely on Ebola patients to find out how and where they contracted the Ebola virus, as different strains can be tracked as they are transmitted from person to person. The next-generation sequencing system was installed at the laboratory adjacent to an Ebola Treatment Centre in Makeni, which was funded by the UK’s Department for International Development. The next-generation sequencing system is also expected to be installed at the University of Makeni, where it will be used by local scientists to study Ebola and other pathogens that affect the region. “We’ve learned many painful lessons from the Ebola outbreak, not least of which is that as a scientific community we must become less secretive with the data that is generated,” said Director of the Wellcome Trust, Dr Jeremy Farrar. “The collective expertise of the world’s infectious disease experts is more powerful than any single lab, and the best way of tapping into this is to enhance the capacity to generate the data in the countries affected, rather than having to fly samples out to other countries and then to make the data openly and safely available, as soon as possible,” concluded Farrar. Saturday, 25 April was World Malaria Day. This year’s theme was ‘Invest in the future, defeat malaria’. 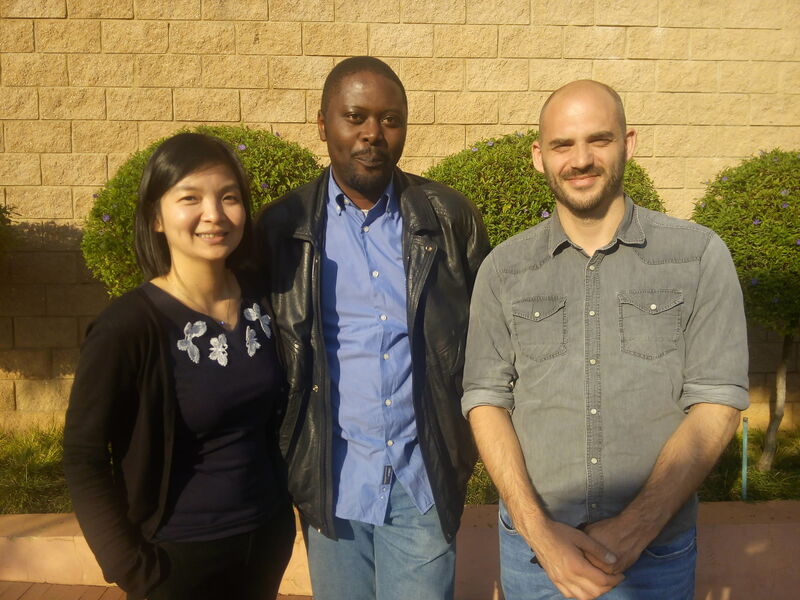 The University of Pretoria’s Centre for Sustainable Malaria Control (UP CSMC) believes that research is critical in combating malaria in a manner that is sustainable and without the potentially adverse health effects of toxic chemicals. One of the ways in which the Centre interpreted this year’s theme, is that we should invest in our up-and-coming malaria researchers who develop new and innovative intervention methods to defeat this disease. As part of the Centre’s World Malaria Day activities, a group of 18 postgraduate students of the UP CSMC, who are working on malaria-related projects, travelled to rural Tonga in Mpumalanga Province, South Africa, to visit the Tonga Malaria Training Station, where they could get a more practical view of how the disease is fought on ground level. Mr Aaron Mabuza, Malaria Control Programme Manager for Mpumalanga, spoke to the students about the work that he and his team are doing. He explained that one of the key programmes that the Tonga Malaria Training Station is involved with is the training and consequent management of insecticide spray workers who play a major role in Mpumalanga’s and South Africa’s control of the malaria vector (mosquito) itself. Because malaria vectors are considered endophilic, meaning that the mosquito vectors rest inside houses after taking a blood meal, it is possible to control the prevalence of the insects that carry the disease through indoor residual spraying (IRS). As the name implies, IRS involves applying a residual insecticide to the walls and other surfaces of a house. The insecticide will then kill mosquitoes and other insects that come into contact with these surfaces for several months. It is important to note that the process does not necessarily prevent people from being bitten by mosquitoes, but rather kills the insects when they come to rest on the surface after they have fed, thus preventing transmission of infection to other persons. The Tonga Station is equipped with training facilities and accommodation for the spray workers undergoing training. Training usually takes place in August so that enough sprayers are available to cover the target area, because to be effective, IRS has to be applied to a very high proportion of households in an area – usually more than 80%. 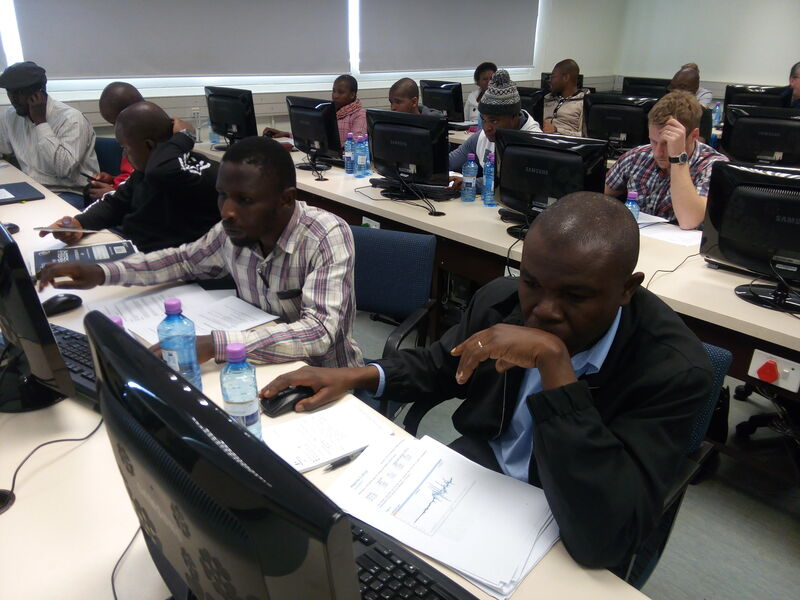 For the 2014/2015 malaria season, 321 temporary spray operators were trained and employed. In addition to the training of spray workers, the Station also runs yearly awareness and education campaigns to educate affected communities about malaria control and prevention strategies. South Africa is one of the few countries in the world where dichlorodiphenyltrichloroethane, better known by the acronym DDT, is still used for vector control. Although use of this chemical is contentious, the responsible application thereof has been successful in reducing malaria transmission and related deaths in the three malaria-endemic provinces – Limpopo, Mpumalanga and KwaZulu-Natal. As the benefits in using chemicals for the control of malaria outweigh the human and environmental risks associated with these chemicals, there is agreement that public health efforts are needed to reduce reliance on chemicals. 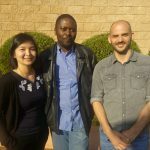 In an effort to find sustainable ways toward eliminating malaria, researchers at the UP CSMC are currently involved with various projects inter alia to determine the effects that chemicals used for insect control have on people living in the affected communities and also to find safer alternatives for vector control. Recently both Prof Tiaan de Jager (Director of the UP CSMC) and Prof Riana Bornman delivered plenary lectures on the topic at an international congress in Copenhagen. The UP CSMC’s work on insecticide exposure and health effects is internationally recognised. According to Mr Mabuza there was an increase in the total number of malaria cases reported during the past season. He says that 75% of reported cases were however imported from other malaria areas and countries outside Mpumalanga, meaning that only 25% of cases contracted the disease locally in Mpumalanga. The case fatality rate was only slightly above the national and provincial norm of 0,5%. This relatively low mortality rate, he says, can be attributed to successful vector control through the spraying of houses, which is done between September and December each year. Another contributing factor to the low mortality rate in the province is the high rate of early diagnosis and treatment of malaria cases achieved by health workers in the province. Most diagnoses are still made using antigen-based malaria rapid diagnostic tests (RDTs) when a patient presents with symptoms at a clinic, but it is the second, more proactive testing approach employed by the programme that allows health workers to identify the majority of cases before they become too serious. When a patient is diagnosed with malaria, health workers take blood smear samples from the patient’s immediate family members and close neighbours to determine if they were infected by the same parasite carrying mosquito. 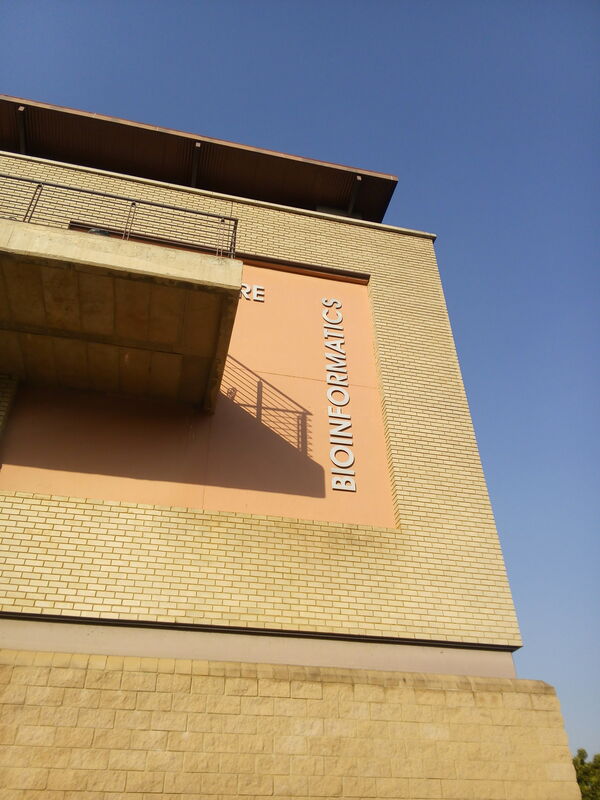 At present the blood smears are sent to the National Institute for Communicable Diseases (NICD) in Johannesburg for analysis, but the Station plans to analyse all samples locally once their own laboratory becomes operational. Apart from the laboratory that will be available to staff at the Tonga Malaria Training Station in the future, the Station has also taken the first steps towards establishing a state-of-the-art insectary, which will allow researchers at the Station to study the behaviour of the mosquitoes that carry the deadly malaria parasite, thereby enabling them to develop more effective methods of vector control. The Station may also serve as a future field station for UP CSMC staff and students. The UP CSMC already has a satellite research facility in Vhembe District in Limpopo Province and Dr Sunday Ukpe from the UP CSMC is actively involved in promoting early diagnosis and the effective treatment of malaria in Mpumalanga. The dedicated staff at the Tonga Malaria Training Station has been an inspiration to all the students who have had the opportunity to experience the practical side of the fight against a disease that they normally only get to study in a laboratory. 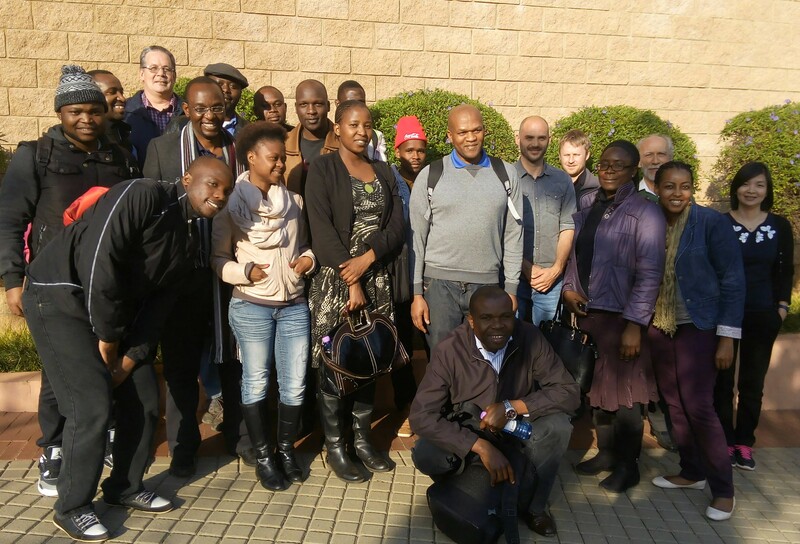 All indications are that the team at the Station have made strides towards eliminating the disease in South Africa. According to Mr Mabuza, the largest remaining challenge is for them to find a way to effectively control the spread of the disease from neighbouring countries, where effective control strategies are largely lacking. He says that he firmly believes that it will be possible to eliminate the disease in South Africa by 2018, provided that countries where the disease is endemic work together towards achieving this goal. According to Prof de Jager, the UP CSMC is doing innovative and leading research to support the country and the African continent in efforts to eliminate malaria.